The splendor of these Tacori drop earrings from the Sonoma Mist collection will not go unnoticed. Starting at a button stud, three drops of sterling silver with scalloped edges and milgrain detailing drop in linear fashion. The last button is slightly bigger and embellished with white diamonds for a sparkling finish. 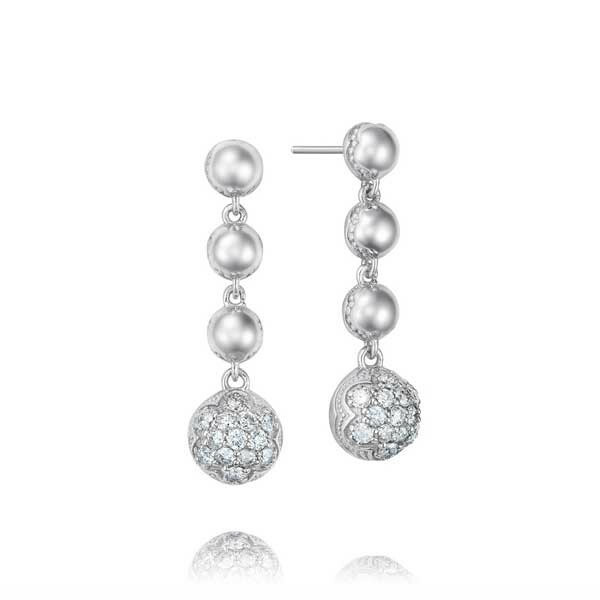 The cascade effect of these gorgeous earrings from Tacori is simply stunning.